They will play Woodville Town Hall, Adelaide, Sunday, July 14, The Tivoli, Brisbane on Monday, July 15, the Arts Centre Melbourne, State Theatre, Tuesday, July 16 and The Enmore Theatre on Wednesday, July 17. “We are just thrilled to be returning to Australia this July. We had such a wonderful experience when we visited last in 2016 and have been eager to find our way back. Interestingly enough, the beginning instrumental section of “All Ashore”, the title track of our new record, materialised quite spontaneously during our soundcheck onstage in Sydney in 2016. So it is only fitting to finally come back and showcase the finished product.” – Punch Brothers. The latest album, All Ashore, the fifth and first to be self-produced by the quintet, was released in July 2018 on Nonesuch Records. It spent six weeks at #1 on the Billboard Bluegrass Album Chart and won the 2019 Grammy Award for Folk Album of the year. 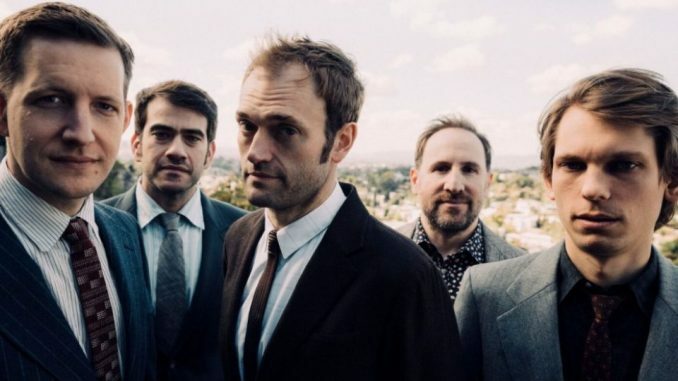 In 2015, Rolling Stone noted, “The genius of Thile and bandmates guitar player Chris Eldridge, bassist Paul Kowert, banjo player Noam Pikelny, and fiddler Gabe Witcher is the artistry with which they mix bluegrass, roots, rock, pop, jazz, and classical to create a unique, contemporary sound.” As so it still is. Do not miss An Evening with Punch Brothers.